If you were to tell me that your company had never looked at its supply chain costs and sought to deliver reductions, I would be mightily surprised. On the other hand, if you told me your company hasn’t been able to sustain any progress in supply chain cost reduction, I wouldn’t be surprised at all. The following five mini case studies explore a few high-profile companies that have managed to sustain their supply chain cost reduction efforts and keep expenses under control. The challenges faced by these organisations and the steps they took, may provide some inspiration for successful long-term cost management within your own organisation. Deere & Company (brand name John Deere) is well known for the manufacture and supply of machinery used in agriculture, construction, and forestry, as well as diesel engines and lawn care equipment. In 2014, Deere & Company was listed 80th in the Fortune 500 America’s ranking and in 2013 was 307th in the Fortune Global 500 ranking. Supply Chain Cost Reduction Challenges: Deere and company has a complex product range, which includes a mix of heavy machinery for the consumer market and industrial equipment, which is made to order. Retail activity is extremely seasonal, with the majority of sales made between March and July. The company was replenishing dealers’ inventory on a weekly basis, by direct shipment and cross-docking operations, from source warehouses located near Deere & Company’s manufacturing facilities. This operation was proving too costly and too slow, so the company embarked on an initiative to achieve a 10% supply chain cost reduction over a four-year period. The Path to Cost Reduction: The company undertook a supply chain network redesign program, resulting in the commissioning of intermediate “merge centers” and optimization of cross-dock terminal locations. Deere & Company also began consolidating shipments and using break-bulk terminals during the seasonal peak. The company also increased its use of third-party logistics providers and effectively created a network that could be tactically optimized at any given point in time. Supply Chain Cost Management Results: Deere & Company’s supply chain cost management achievements included inventory reduction of $1 billion, a significant reduction in customer delivery lead times (from ten days to five or less) and annual transportation cost savings of around 5%. One of the world’s largest manufacturers of computer chips, Intel needs little introduction. However, the company needed to make some significant supply chain cost reductions after bringing its low-cost “Atom” chip to market. Supply chain costs of around $5.50 per chip were bearable for units selling for $100, but the price of the new chip was a fraction of that, at about $20. The Supply Chain Cost Reduction Challenge: Somehow Intel had to reduce the supply chain costs for the Atom chip, but had only one area of leverage—inventory. The chip had to work, so there were no service trade-offs that could be made. Being a single component, there was also no way to pay less in the way of duties. 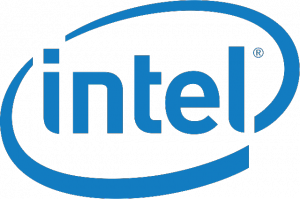 Intel had already whittled packaging down to a minimum and with a high value-to-weight ratio, the chips’ distribution costs could not really be pared down any further. The only option was to try to reduce levels of inventory, which, up to that point, had been kept very high in order to support a nine-week order cycle. The only way Intel could find to make supply chain cost reductions was to bring this cycle time down and therefore reduce inventory. Supply Chain Cost Management Results: Through its incremental approach to cycle time improvement, Intel eventually drove the order cycle time for the Atom chip down from nine weeks to just two. As a result, the company achieved a supply chain cost reduction of more than $4 per unit for the $20 Atom chip—a far more palatable rate than the original figure of $5.50. 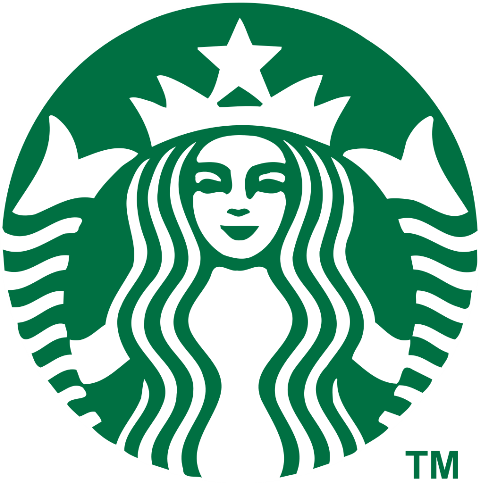 Like Intel, Starbucks is pretty much a household name. But like many of the most successful worldwide brands, the coffee shop giant has been through its periods of supply chain pain. In fact, during 2007 and 2008, Starbucks leadership began to have serious doubts about the company’s ability to supply its 16,700 outlets. As in most commercial sectors at that time, sales were falling. At the same time though, supply chain costs rose by more than $75 million. In order to meet these objectives, Starbucks divided all its supply chain functions into three key groups, known as “plan” “make” and “deliver”. It also opened a new production facility, bringing the total number of U.S. plants to four. Next, the company set about terminating partnerships with all but its most effective 3PLs. The remaining partners were then managed via a weekly scorecard system, which was aligned with renewed service level agreements. Supply Chain Cost Management Results: By the time Starbucks’ supply chain transformation program was completed, the company had made savings of more than $500 million over the course of 2009 and 2010, of which a large proportion came out of the supply chain, according to Peter Gibbons, then Executive Vice President of Global Supply Chain Operations. Like Deere & Company, AGCO is a leading global force in the manufacture and supply of agricultural machinery. The company grew substantially over the course of two decades, with a considerable proportion of that growth achieved by way of acquisitions. As commonly happens when enterprises grow in this way, AGCO experienced increasing degrees of supply chain complexity, along with associated increases in cost, but for many years, did little to address the issue directly, largely due to the decentralized and fragmented nature of its global network. In 2012, AGCO’s leaders recognised that this state of affairs could not continue and decided to establish a long-term program of strategic optimisation. Supply Chain Cost Reduction Challenges: With five separate brands under its umbrella, AGCO’s product portfolio is vast. At the point when optimisation planning began, sourcing and inbound logistics were managed by teams in various countries, each with different levels of SCM maturity, and using different tools and systems. As a result of the decentralised environment, in which inbound logistics and transport management were separate operational fields, there was insufficient transparency in the supply chain. Synergies and economies of scale (and the benefits of the same) were not being taken advantage of, and all these issues were set against a backdrop of a volatile, seasonal market. 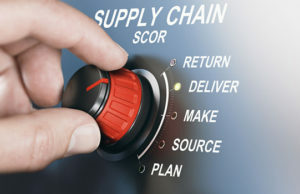 The Path to Cost Reduction: Following a SCOR supply chain benchmarking exercise, AGCO decided to approach its cost reduction and efficiency goals by blending new technology—in the form of a globally integrated transport management system (TMS)—with a commitment to form a partnership with a suitably capable 3PL provider. As North and South American divisions of the company were already working with a recently implemented TMS, it was decided that the blended approach would be implemented first in Europe, with commitments to replicate the model, if successful, in its other operating regions. With the technology and partnership in place, a logistics control tower was developed, which integrates and coordinates all daily inbound supply activities within Europe, from the negotiation of carrier freight rates, through inbound shipment scheduling and transport plan optimisation to self-billing for carrier payment. Supply Chain Cost Management Results: Within a year and a half of their European logistics solution’s go-live, AGCO achieved freight cost reductions of some 18%, and has continued to save between three and five percent on freight expenditure, year-on-year, ever since. Having since rolled the new operating model out in China and North America, the company has reduced inbound logistics costs by 28%, increased network performance by 25% and cut inventory levels by a quarter. Headquartered in Westport Connecticut, Terex Corporation may not be such a well-known name, but if your company has ever rented an aerial working platform (a scissor-lift or similar), there is a good chance it was manufactured by Terex and originally dispatched to the rental company from a transfer center in North Bend, Washington. The North Bend facility is always filled with lifting equipment, most pieces made to order and uniquely customised for specific customers. Terex maintained a manual system for yard management at the transfer centre, which generated excessive costs for what should have been a relatively simple process of locating customers’ units to prep them for delivery. The Supply Chain Cost Reduction Challenge: A wallboard and sticker system was a low-tech solution for identifying equipment items in the yard at Terex. While inexpensive in itself, the solution cost around six minutes every time an employee had to locate a unit in the yard. It also required a considerable number of hours to be spent each month taking physical inventories and updating the company’s ERP platform. The Path to Cost Reduction: Terex decided to replace the outdated manual yard management process with a new, digital solution using RFID tracking. A yard management software (YMS) product was chosen, and the transfer centre was surveyed before implementation of a pilot project covering a small portion of the yard. After a successful pilot, the solution was approved for full-scale implementation, replacing stickers, yard maps, and wallboard with electronic tracking and digital inventory management. As at December of 2017, Terex was making plans to integrate the yard management solution with its ERP platform to enable even greater functionality. Supply Chain Cost Management Results: While the YMS cannot reconcile inventory automatically with the Terex ERP application, it does at least provide a daily inventory count via its business intelligence module. That alone has saved the labour costs previously incurred in carrying out manual counts. More importantly though, the RFID-based unit identification and location process has saved the company around 70 weeks per year in labour costs, by cutting the process time down from six minutes, to a mere 30 seconds per unit. Of course, the above case studies are merely summaries of the changes these high-profile brands made to their supply chains. What can be seen from these brief accounts though, is that in order to make significant and sustainable cost improvements, substantial change must take place. Deere & Company had to overhaul its network completely. Intel had to shift an entire supply chain to a new and previously unheard of strategy in its sector. Starbucks had to shake up its third-party relationships and increase production capacity. AGCO had to invest in technology and collaborative partnerships with external service providers. At the same time, none of the changes took place overnight. In fact, each of the companies tackled issues in phases, effectively learning more as they went along. When it comes to making supply chain cost reductions that stick, every avenue must be explored. However, at the root of high costs, there will usually be one major factor requiring innovation, whether it’s the network, inventory strategy, the working relationships with supply chain partners, or some other element of your operation. Seldom will major savings be made by whittling away piecemeal at what seem on the face of it, to be the most pressing issues of the day (such as direct transportation costs or supplier pricing). If you want to see sustainable cost reductions, your company will need to view the big picture from a new angle or two, and be prepared to step outside of the comfort zone to which it will have become accustomed. Editor’s Note: This post was originally published in June 2016 under the title “3 Mini Case Studies: Successful Supply Chain Cost Reduction and Management”. It has since been revamped to include two new case studies, so that there are now five mini case studies in total. I have an assignment to search example of SCM and finally I faound it. Thank you for writing this case studies. Cost reduction and management are two important elements that help increase profits. Unfortunately, not every company gets it right. These case studies show how it’s possible to improve the situation.